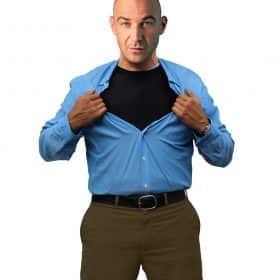 If you want to own the best bulletproof vest or bulletproof clothing, as well as unique items such as bulletproof backpacks, briefcases and portfolios, then you have come to the right place. What do we mean by the best bulletproof vest? Well in our opinion “the best” is most definitely NOT the most expensive. If you’re considering a bulletproof vest that is $1000 plus then you’re simply being taken for a fool. To us, “the best” bulletproof vest is one that you will actually wear and that provides the maximum protection level against a specific threat. BAC Tactical strives to provide our loyal customers with the very “best” personal protective equipment possible. All of our bullet resistant vests are made with Kevlar® XP™. This material is incorporated into our bulletproof clothing, backpacks and business accessories. This cutting edge ballistic material is made by world renowned DuPont in the USA. BAC Tactical only sell products made with Kevlar® XP™ for a number of reasons, namely it is lightweight, allows for less layers used in the construction of the vests ensuring the vest is as thin as possible, and more importantly, Kevlar® XP™ offers more bullet-stopping power as it provides approximately a 15% reduction in back face deformation. All of the bullet resistant vests we sell have been tested and are certified by the world’s best USA testing facility, H.P. White Laboratory, to the highest level and standard in soft body armor – NIJ IIIA 0101.06. We encourage our customers to compare our products with others on the market prior to purchase. If you find a vest that is as thin, lightweight, made in the USA, of equal high quality, AND certified to NIJ IIIA under the latest 0101.06 standard, PLUS is less expensive than ours, then we encourage you to purchase from them. We keep our prices low for two reasons – we want to be able to provide protection for all levels of society and income levels, and we don’t wish or need to make such a large profit margin as our competitors. BAC Tactical is owned and operated by veterans who have operated on the front line in often arduous conditions. We have worn heavy and thick body armor as that was what available at the time. This is not the case today as technology has come leaps and bounds. 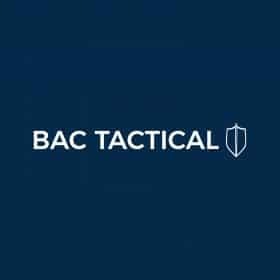 Make the right purchase decision and purchase your bullet resistant products from BAC Tactical.